Credit: www.shutterstock.com/empics. All rights reserved. For some years now, a university education has been conceived by UK governments as a universal good. At least in their rhetoric, politicians from the left and the right promote higher education as something that should be available to all those who have the aptitude to thrive in it. But what do students actually get from this experience, and what’s on offer aside from the obvious degree scroll and the family photo? Does the “transformational experience of going to university” still exist, as one British politician recently described it? One response to this question highlights the empowerment and inspiration that can be generated when young adults congregate together, acquire new ideas and knowledge, and envision new ways of living their lives. This narrative evokes the student protests of the 1960s and the campus-based political activism that followed in its wake, imagining universities as places of personal and political awakening. In this line of argument, higher education should be made accessible to a wide constituency because this is the means by which those from ‘less privileged’ backgrounds ‘get on.’ Universities are agencies for tackling inequality because they accord merit based on academic ability rather than social background. Both of these understandings of the university’s transformative potential are myths, not in the sense of being necessarily untrue, but because they constitute enduring narratives by which we make sense of the world. They are stories that are told to illustrate why going to university is good; narratives of discovery, empowerment and promise that are romanticised by those who find meaning in them for their own lives; and loudly proclaimed by those in the business of promoting higher education. While ‘usefulness’ can be defined in a variety of ways, in practice the dominant narrative emphasizes economic productivity. In this narrative universities achieve a valuable transformation in the lives of individuals when they produce employable graduates who are ready to contribute to the global economy. In the now ubiquitous league tables that rank universities, an increasingly salient metric is the starting salary of a typical graduate. Success, it seems, it not simply assessed in relation to employment but also in terms of wealth. That being said, the appeal to utility has not entirely eclipsed deeper notions of the university experience, and concerns about the identity-transforming capacity of higher education have re-emerged in recent years, this time around religion, and especially the supposed threat from radical Islam. Do universities provide a prime site for nurturing religious radicals, just as they did for political radicals during the 1960s? A few years ago, a series of incidents occurred on UK campuses that highlighted tensions between evangelical Christian students and university authorities. In 2012, the University of Bristol’s Christian Union provoked controversy by barring the inclusion of women speakers at some of their events, reflecting an interpretation of the Bible that privileges male ‘headship.’ While apparently resolved, these incidents drew attention to the challenges that face universities when seeking to maintain both freedom of expression and a strong opposition to discrimination and intolerance. The university campus is often lauded as a site for both these things, yet this is a difficult balance to strike, especially when conservative religious perspectives on gender, sexuality and inter-religious relations run counter to the equality norms embedded in western culture and enshrined in British law. Wariness towards on-campus religion was heightened when radical Islam became an object of public concern. As far back as 2009, isolated acts of terrorism had been associated with individual Muslims connected to UK universities. This in turn led to closer scrutiny of external religious speakers invited onto campuses, often by student-run Islamic Societies. ‘Extremism’ in this sense is defined as including “vocal or active opposition to fundamental British values, including democracy, the rule of law, individual liberty and mutual respect and tolerance of different faiths and beliefs.” Possible examples cited include extremism of the faith-based, environmental, animal rights, far right and far left varieties. To put it simply, universities are charged with intervening in cases where ideologically subversive ideas are being voiced. So at least for the purposes of governance and control, the possibility of being politically awakened or existentially transformed by the experience of higher education is alive and well. In some circles this rhetoric has reached even more extreme levels. U.S. Presidential hopeful Donald Trump, for example, recently proposed to address Islamic terrorism by banning all Muslims from entering the USA, provoking over half a million people in Britain to sign a petition calling for Trump himself to be banned from the UK. Britain’s Chancellor of the Exchequer George Osborne rejected the call to ban Trump, suggesting that “The best way to defeat nonsense like this is to engage in robust and democratic debate.” But ‘more debate’ is not what has faced speakers deemed too ‘controversial’ for British campuses, whether they have been supportive or critical of religious perspectives. As in the case of ex-Muslim human rights campaigner Maryam Namazie, for example, who was banned from speaking at the University of Warwick by a Student’s Union fearful that she might ‘incite hatred,’ the increasing tendency is to exclude and delimit debates about difficult issues. The Counter Terrorism and Security Act exacerbates this tendency because it encourages university management to become more risk averse about contentious topics being aired on campus for fear of legal sanction. Within this framework of anxiety and risk, universities are treated as places for the free exchange of knowledge, but within ever-narrowing limits. Strikingly, some of the loudest advocates of this censorious approach seem to be students themselves. Recent campaigns to ‘no platform’ invited speakers have seen a quest to provide ‘safe spaces’ on campus involve the exclusion of figures usually viewed as progressive. Examples include feminist Germaine Greer for her views on transgender identity and equal rights campaigner Peter Tatchell, in part because he supported Greer’s right to free speech. For some this reflects an appropriate sensitivity to vulnerable groups who are sometimes belittled by the liberal elite, but it also comes with a rising discomfort with the kinds of open, rigorous debates that have previously been upheld as central to the transformative power of a university education. One irony of this situation is that government anxieties about the power of the university experience to shape the minds of young people have intensified at the same time that academics are bemoaning cross-sector changes that encourage the opposite. 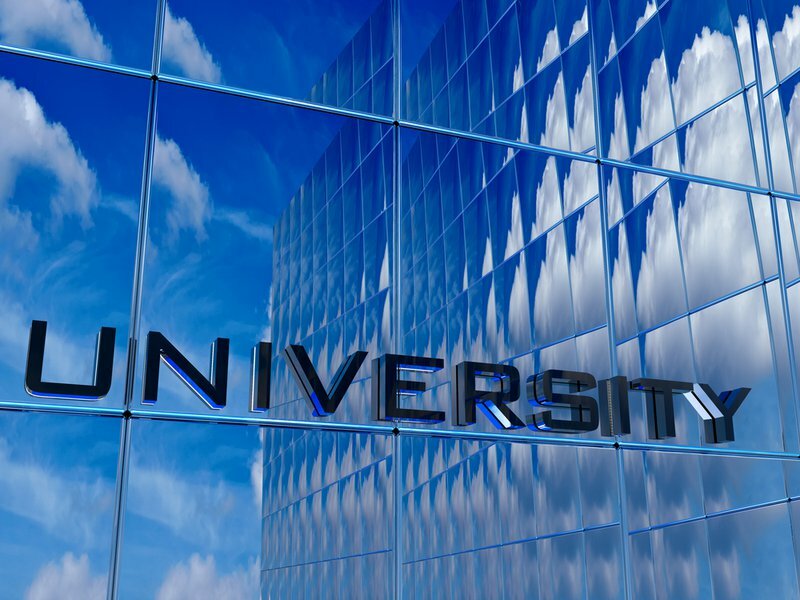 With higher education increasingly treated as a ‘free market’ and students as ‘consumers,’ the pressure is to accentuate accessibility, predictability and standardization rather than to encourage risk-taking and innovative thinking. The financial constraints faced by students mean that fewer and fewer are free to engage fully in campus life due to part-time work commitments, decisions to study locally, or lack of disposable income. Against this background, students are more strategic in their investments of time and money, while teachers are more constrained in how they foster learning. Any ‘existential awakening’ seems an unlikely outcome of this process, yet the counter terrorism agenda rests on the assumption that universities are prime sites for the radical transformation of identities. The myths of university experience seem to be serving an agenda that valorises the freedom to consume higher education but not the free exchange of ideas. Radical transformation through learning is only raised when considered as a threat. But since all great ideas are threatening to someone at some point in time, there may be good cause to worry about the capacity of universities to produce truly critical thinkers in the future.